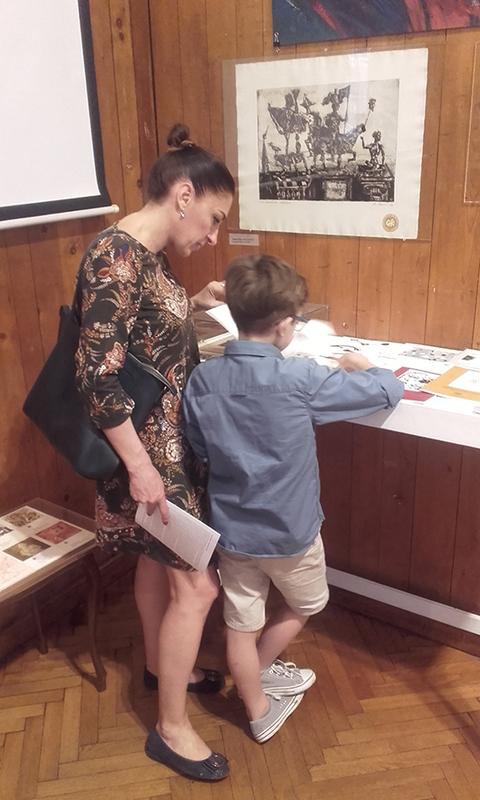 On Monday, May 28th in 7pm is opened exhibition “Print of Time - Fragments from History“ which is dedicated to life of Grafički kolektiv. 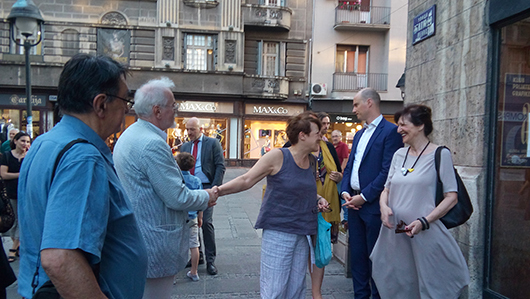 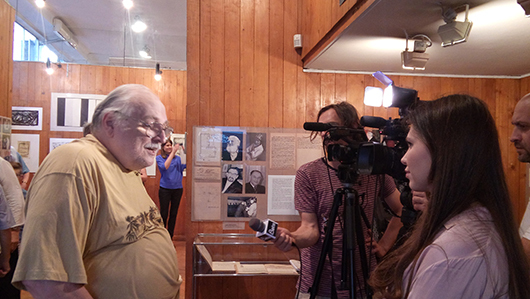 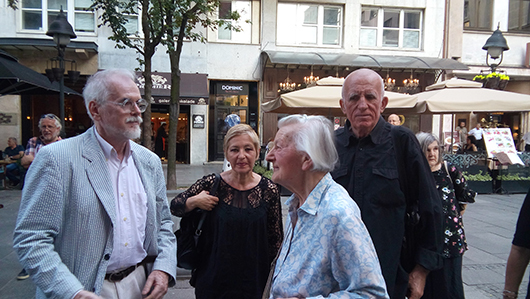 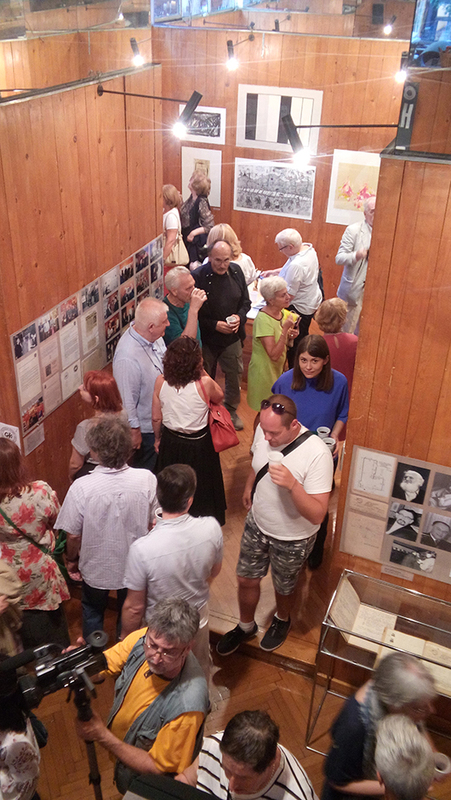 The concept of the exhibition is to focus on the most important events, persons and dates which made seven decades of work of Grafički kolektiv, from the founding 1949th until today. 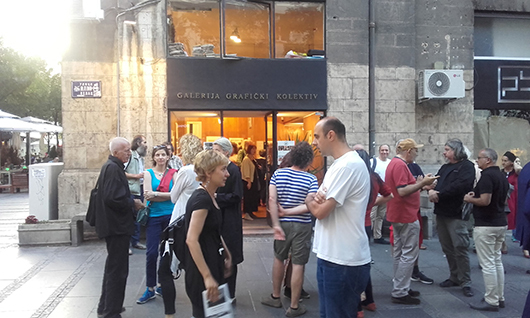 Grafički kolektiv is one of the most important elements of art and cultural life in Serbia and ex Yugoslavia. 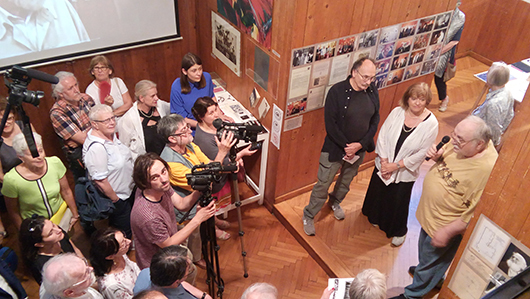 This House of artists actively built and promoted national culture, and every decade is the symbol of new initiatives and challenges. 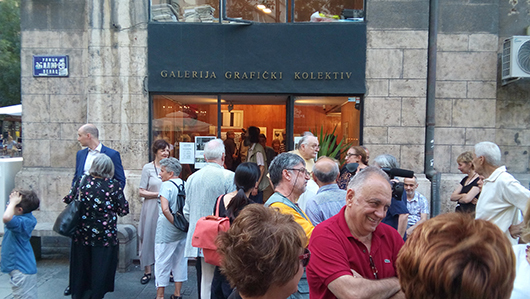 Complex picture of art life in second half of 20th century and new millennium would not be complete without an efforts of Grafički kolektiv gallery. 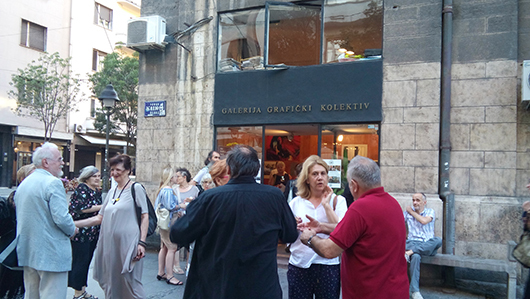 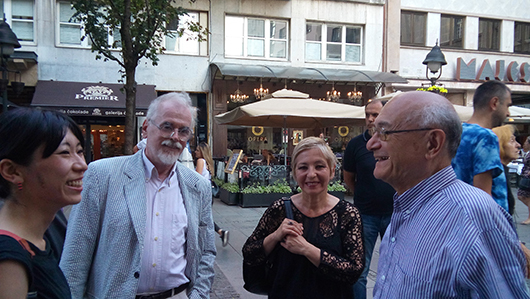 Some of the key moments in the life of Grafički kolektiv at the same time are very important dates in development of Serbian graphics and culture. 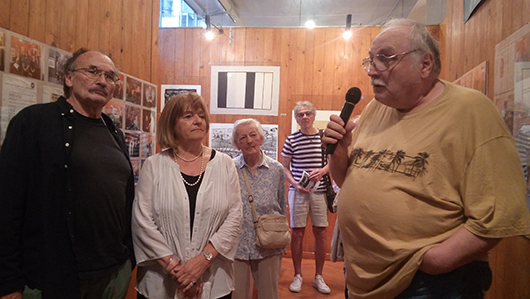 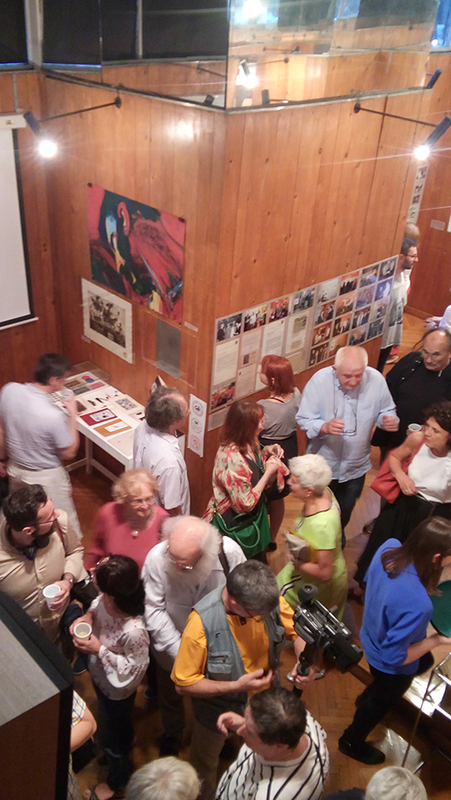 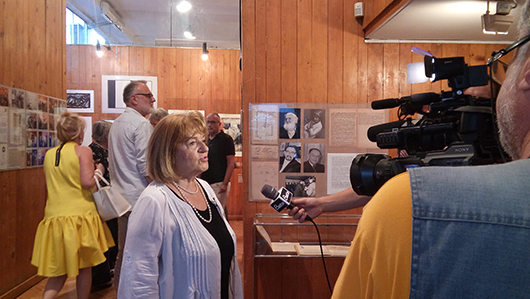 From workshop it transformed in gallery and in 1952 was organized first May Exhibition of Printmaking which is a significant recognition of graphic creativity in Serbia and the region, even today. 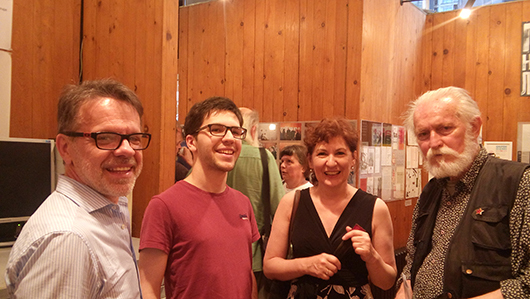 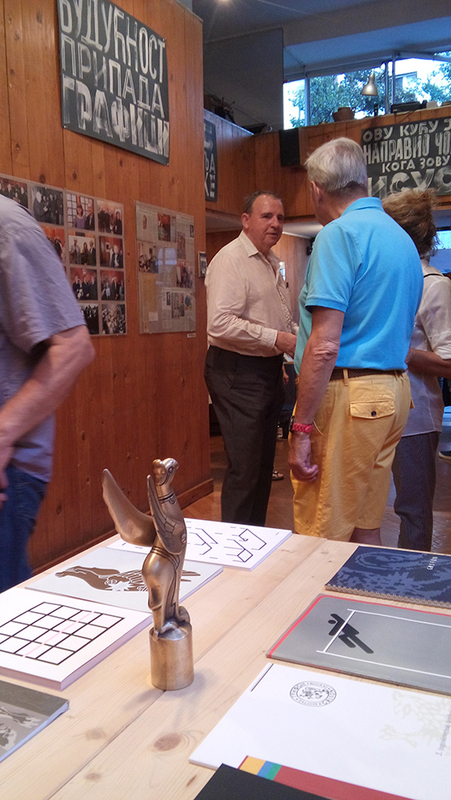 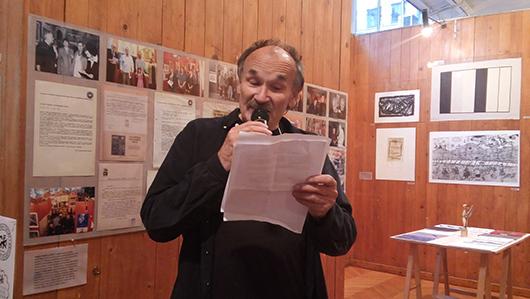 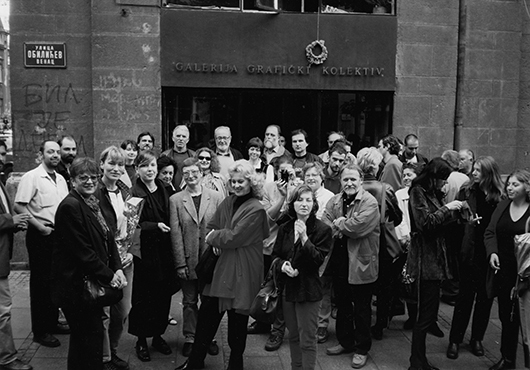 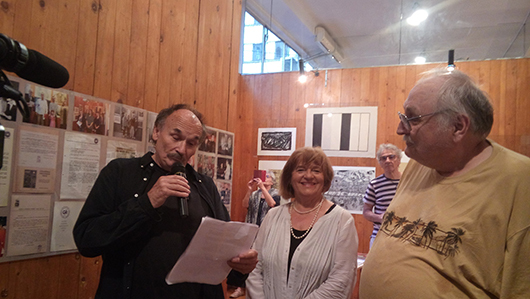 Fundamental event was fundation of the Collection of the Grafički kolektiv in 1953. 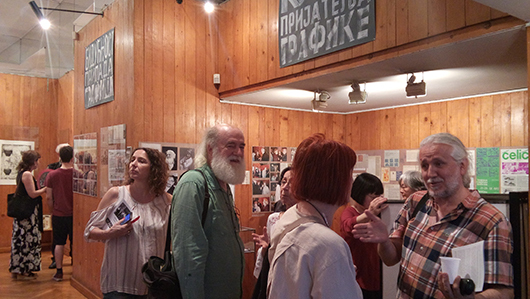 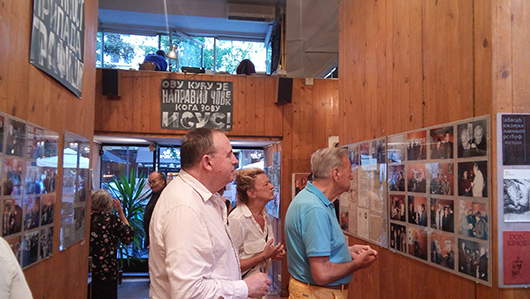 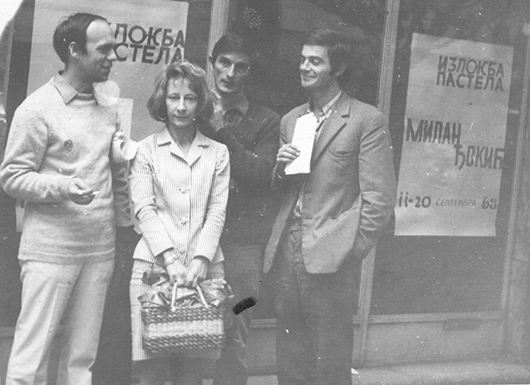 Exhibition Fragments from History is consisted of selected material – video and photo documentation from exhibitons, graphics, posters, newspaper and critical reviews, publications and other – valuable documents which testify about active and recognizable role of Grafički kolektiv. 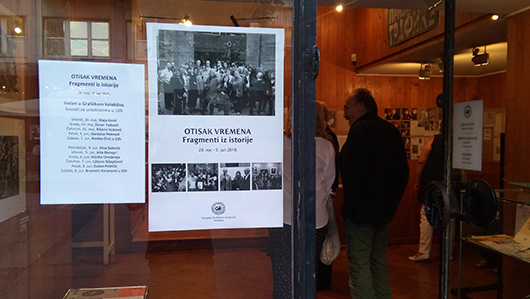 This gallery is a symbol of Belgrade and an inseparable part of national cultural identity. 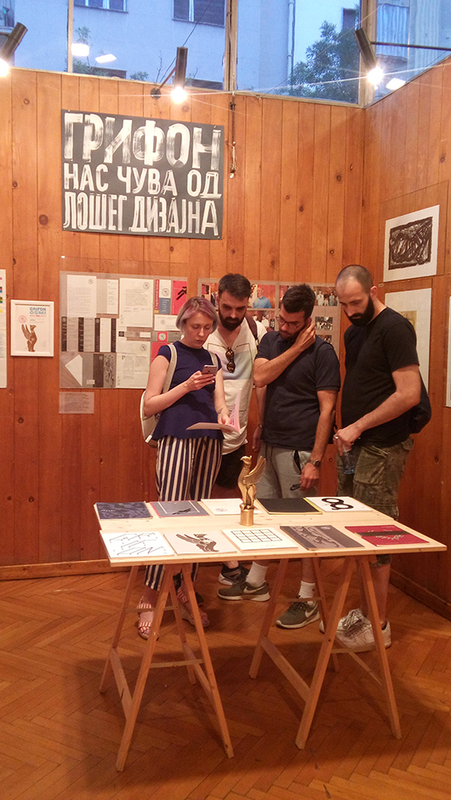 Some segments of the exhibition are dedicated to the founders, developed projects, graphics and graphics design, collection and space… This exhibition is small recapitualtion from yesterday until today and it is reminding us on prominent role of Grafički kolektiv and its Gallery in promoting contemporary art scene, with belief that in the future it will continue to function the same way.